If your roof leaks or you have broken or damaged shingles, it may be time for a new roof. Roofing leaks not only leave ugly stains on your ceilings and walls but can eventually damage the structural integrity of your home. Helke Construction, the roofing experts with locations in Somers, MT, and Spokane, WA, are skilled at roof restoration, replacement, and repairs. Wood Shingles: Wood shingles are an attractive roofing material that can last 20 to 25 years. They’re typically made of cedar, a wood that is resistant to rot. 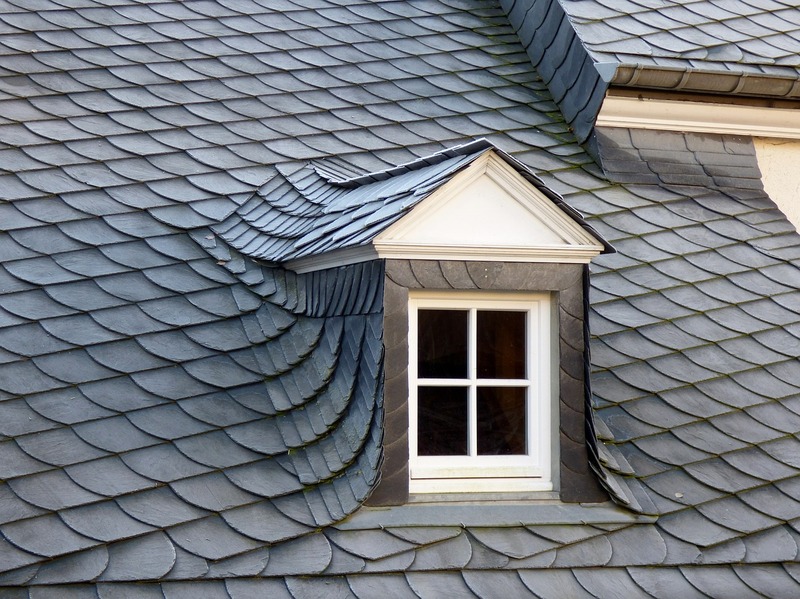 Slate Shingles: These shingles are made from slate rock and are appropriate for roofs with steep pitches. Although slate shingles can break, they are usually very durable and may last as long as 75 years with regular maintenance. Asphalt Shingles: Asphalt shingles are the choice of many homeowners because they’re affordable and can be used on a variety of roof types. These shingles usually last 15 to 20 years. If you notice curling or missing asphalt shingles, call the pros at Helke Construction for a free estimate for roof repairs or a replacement. Plastic Polymer: Plastic polymer shingles look like wood or slate, but are more durable. The shingles offer good wind and fire resistance and can last 50 years. Concrete Tile: Concrete tile is a newer roofing option that requires extra support due to the weight of the tiles. This versatile material is manufactured to look like slate, clay tiles, or wood shakes. Concrete roofs can last 50 years. With two locations serving Washington, Idaho, and Montana, Helke Construction is sure to meet your roof restoration needs. Visit theirwebsite to learn more or call (509) 220-1717 (Washington Location) or (406) 871-5858 (Montana Location) to schedule an in-person consultation on your project today. Check their Facebook and Google pages for the latest updates.